It seems that Mahindra has finally completed testing for the Mahindra Mojo and is all set to launch the 295cc motorcycle in India. The Mahindra Mojo is expected to make its debut in September prior to the festive season. To give the new viewers a flashback, the Mahindra Mojo was first showcased with much fanfare in 2012 and created a lot of curiosity among Indian buyers but there was no news regarding it until the 2014 Auto Expo where the production-spec model was unveiled but it’s been almost 18 months since then and still the bike wasn’t launched. According to Mahindra officials they were completing the final leg of testing and the bike was spotted at various locations throughout the country. During the Mahindra Gusto ride, Mahindra officials had told ZigWheels that the Mojo launch was next and after exactly one year the new Mahindra motorcycle seems ready to hit Indian roads. The basic silhouette of the Mojo has been maintained on the new model and the subtle updates have made it more visually pleasing but styling still remains quirky. The headlight fascia has been reworked and the twin headlamps receive a separate body shell of their own with DRL (Daytime Running Lights), LED turn indicators integrated in the mirrors, which were present in the older model, have been given a miss in the production model but it has retained the “gold ribs”. The Mojo employs a semi-digital instrument console with a large analogue tachometer taking centre stage. The bike is powered by a 295cc liquid - cooled, single-cylinder engine fed through an electronic fuel-injection system expected to produce around 27PS at 8,000rpm and 30Nm at 6,000rpm. Power is transferred to the rear wheels via a six-speed transmission. The Mojo had been loaded with goodies in its cycle parts like USD front forks, gas charged mono shock, LED pilot lamps and tail lamps, Pirelli Diablo Rosso Tyres and petal discs. Mahindra Plans to market as a touring motorcycle as the Mojo has a fuel tank capacity of 21 litres and 175mm ground clearance. Braking is done by disc brakes at front and rear while ABS has been given the miss to keep cost low. Talking about pricing, it is expected that the Mahindra Mojo will be priced around Rs 1.5 to 1.65 lakh (ex-showroom). Honda CR-Z hybrid facelift revealed. The CR-Z facelift comes with additional equipment; petrol-electric powertrain carried forward. Honda has unveiled the facelifted version of its petrol-electric hybrid, the CR-Z. The updated car gets styling changes to the exterior, with a few additions to the interior. The front bumper of the CR-Z has been redesigned while the grille gets minor tweaks. Certain variants of the refreshed CR-Z sport LED headlights. The rear bumper now gets a more squarish appearance and features a rear diffuser. The rear track has also been widened. Inside, an electric switch has replaced the handbrake lever, making space for a central storage box with an integrated arm rest. Other additions to the interior include a touchscreen infotainment system, an upgraded audio system and a push-button ignition system. Mechanically, Honda's facelifted CR-Z retains its existing 1.5-litre petrol engine and electric motor, though the suspension has been improved to offer better dynamics, while the brakes have increased in diameter. The facelifted Honda CR-Z will go on sale internationally towards the end of this year. Audi to deliver multimedia experience at Frankfurt. A massive structure is being developed by Audi at the Frankfurt event site; will house 33 models. Audi is currently constructing a three-storeyed building to be its display at the upcoming Frankfurt motor show. The structure will hold 33 Audi models including the new A4 and the e-tron Quattro concept, and Audi is expected to detail its innovations by offering visitors an unconventional multimedia experience. The entrance to the building will lead to a roughly 100-metre walk, that'll take visitors through Audi’s four themes: the motorsport genetics of the Audi Sport sub-brand, the portfolio of innovations under ‘Audi Technologies’ ranging from the virtual cockpit to laser light; the efficient technologies of Audi ultra and the Quattro all‑wheel drive. The walk will include multimedia presentations and holographic windows using augmented reality technology to connect digital information with the cars on display. The new A4 will sit at the centre of the building, mounted on a rotating platform that will be part of an oversized compass. The entire media display of the exhibits will shift to the each of the four themes as the compass rotates. Also on display will be the Audi e-tron Quattro concept, a model designed to be a precursor of the company’s all-electric SUV due in 2018. 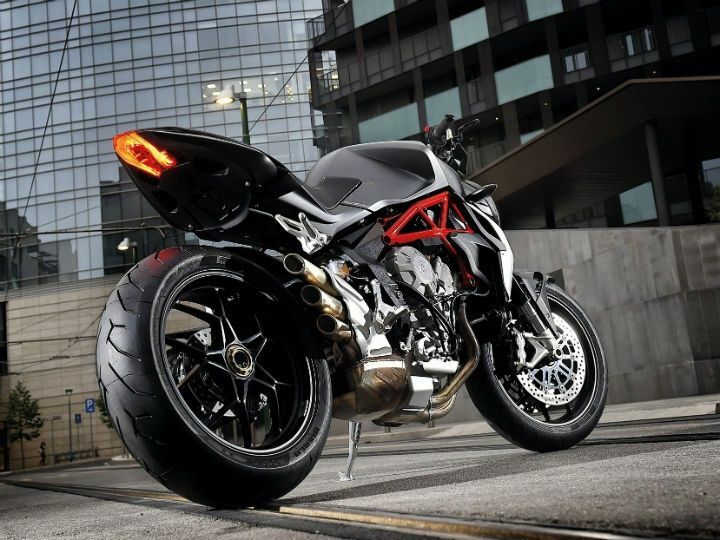 MV Agusta Brutale 800: First Look Review. 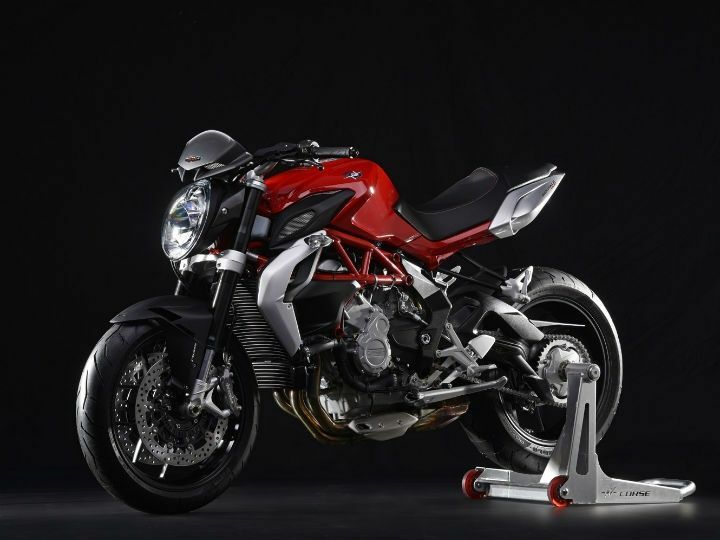 Legendary Italian superbike company MV Agusta will finally launch their bikes in India. With engines ranging in displacement from 800cc-1078cc and power output rating from 110-215PS, these bikes will certainly stir up the performance bike market in India. Italian styling and the legendary MV Agusta badge though comes at a price and these bikes will have prices ranging from Rs 12 to Rs 33 lakh in the Indian market. The relatively high price tag is because these bikes will be brought in as CBUs and semi knocked down units. The company has not revealed yet which models are going to be launched in India, but the all-muscle naked street Brutale series is a very distinct possibility. Here’s a close look at one of the entry-level MV Agustas, the Brutale 800 and what it has in store. One look, and the Brutale 800 clearly screams out performance and all-muscle naked street presence – mass forward design, muscular haunches and that unique blend of style and substance MV Agustas are known for. Visually striking, the MV Agusta Brutale 800 is dominated by the almost completely exposed three-cylinder engine, cradled by the distinctive trellis frame on top and the compact exhaust system underneath. The Brutale’s character is underlined by that unique, large headlight unit and a distinctive three-section tailpipe that further adds to the stunning visual appeal of the MV Agusta Brutale. The MV Agusta Brutale 800 features a 798cc three-cylinder, 12-valve liquid and oil-cooled engine which makes over 126PS at 11,600rpm and maximum torque of 81Nm at 8,600rpm. Impressive figures comparable to litre-class bikes and with a weight of just 167kg, the Brutale promises to offer fantastic performance. Starting is electric and the three-pot mill is mated to a six-speed transmission. The three-cylinder engine employs exclusive technical solutions such as the counter-rotating crankshaft, used in MotoGP but never before seen on a production bike. The engine of the Brutale 800 is mounted on a steel tubular trellis frame. In fact, outstanding handling is almost certain with MV Agusta’s exclusive composite structure: a front section made of steel trellis tubing combined with two light aluminium alloy plates to which the sculpted single-sided rear swingarm is attached. The MV Agusta Brutale 800 comes kitted out with an upside-down fork and monoshock with hydraulic and elastic response adjustment. The 43mm upside-down fork provides 125mm of front wheel travel and is adjustable in compression, rebound and spring preload. The rear wheel, linked to the monoshock and swingarm, has a travel of 119 mm; again, the system is adjustable in compression, rebound and spring preload. 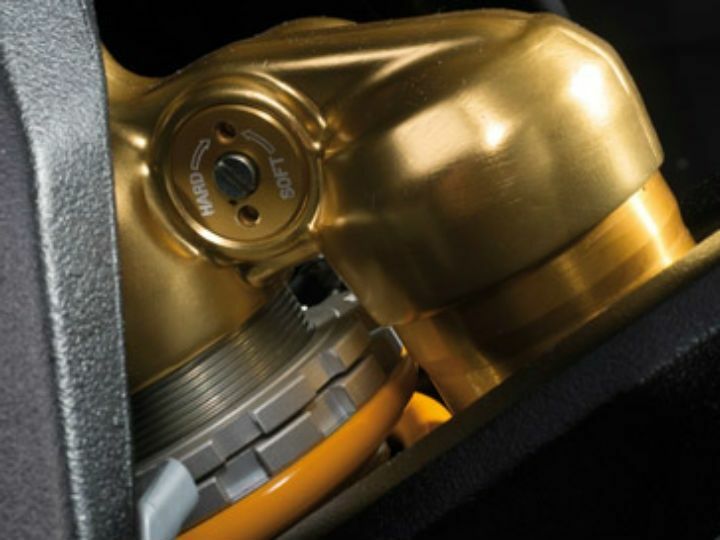 Braking system is also of the highest quality, featuring a pair of front 320mm discs with Brembo four-piston (32mm diameter) radial callipers. And at the rear, the rider can count on a high performance twin-piston (34mm diameter) Brembo caliper, which grips a 220mm disc. The electronics package on the MV Agusta Brutale 800 is state-of-the-art and one of the most advanced systems seen on a bike in this category. MV Agusta says advanced race technology electronics has been applied to a mass production motorcycle. The MVICS (Motor & Vehicle Integrated Control System) platform includes, multi-map Full Ride by Wire with integrated traction control. 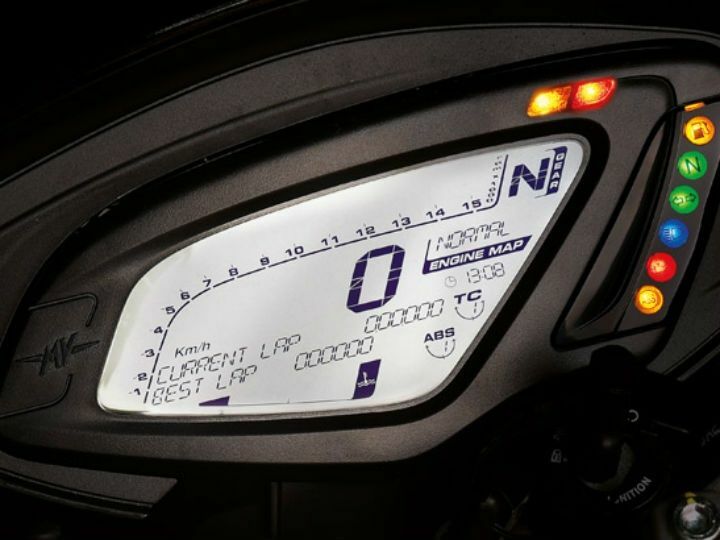 And this ensures optimised delivery throughout the power range, maximum engine efficiency also in terms of fuel consumption and, of course, the ability to personalise engine performance by choosing one of the four available maps: three pre-set ones plus a map that can be customised by the rider. In addition, traction control ensures safety and performance on any road or track surface. The Brutale 800 will be at the lower end of MV Agusta’s product offerings in India. It will be an attractive proposition for buyers who would want to include themselves in something exclusive and be a part of the legendary MV Agusta name. That also means the Brutale 800 will be priced somewhere around Rs 12-13 lakh. At that price, the MV Agusta Brutale will be a shade more expensive than the likes of the Ducati Monster 821, another brilliant exotic Italian muscular naked with a similar displacing engine. Mercedes-Benz believes V8 is the right fit for its India portfolio. Moreover, fewer sales numbers wouldn’t justify complex service set-up. Mercedes has been on a high note this year launching ten models so far, with five more lined up for rest of the year. With its most recent offering, the AMG S 63 sedan powered by a 5.5-litre twin-turbo V8, the German luxury automaker has pushed the number of AMG performance cars in its India portfolio to nine. However, the most powerful AMG V12 engine will not be coming to the Indian shores in the near term. Globally, Mercedes offers the mighty 6.0-litre V12 bi-turbo engine putting out nearly 630bhp in the G 65, SL 65 roadster, the S 65 sedan and the S 65 Coupé. The main reason why the German carmaker is not keen on getting a car with the high-powered engine to India is because it does not see a big enough market right now. Besides, the meager sales of the V12 AMG would not justify the complex service infrastructure as well as the additional after-sales service vital to the car. India may not have a significant market for such a powerful engine, especially when there is no road infrastructure to fully exploit them, but the growing demand for luxury cars has certainly kept luxury automakers busy this year. Audi and BMW have also adopted a product offensive strategy like Mercedes and are on road to launch 10 and 15 models respectively by the end of 2015. Mercedes-Benz is now gearing up to launch the AMG C 63 S in India on September 3 and the C 450 AMG later. However, Mercedes has saved the best for last, as its flagship AMG GT sports will also be making its way into the country later this year.